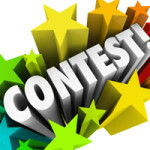 CONTEST ENTRIES AWESOME– RESULTS SOON!!!! My Mother’s Day contest officially closed as of midnight. I received an overwhelming number of some of the most heartwarming stories I’ve ever read, and I thank each and every one of you who shared your Mother’s Day feelings and memories with me. There were so many inspiring and meaningful themes that came through time and again: the gift of birth, of adoption, of women who were well ahead of their time, of unselfish support during times of illness or adversity, of providing an education regardless of financial means, of survival skills, and of building strength of character to last a lifetime. The truth is, I cannot select a “winner”, since I feel there are over a hundred of those! 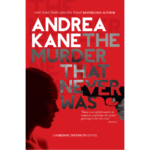 So, instead, I’m selecting (at random) 3 entries, rather than 1, and sending those entrants signed copies of THE GIRL WHO DISAPPEARED TWICE. I’ll be personally pulling the random entries myself, and will then immediately contact the entrants by email. Once they’ve responded, their names and entries will then be posted and highlighted on my blog, by either late tonight or early tomorrow morning. So stay tuned, and many thanks for your huge response and inspiring entries! 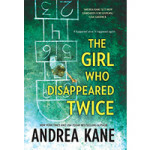 Win a signed copy of THE GIRL WHO DISAPPEARED TWICE!